Divide into two teams, set up a playing field and play! Each team tries to transport their beanbag to the other team’s goal basket while trying to protect their own goal basket! 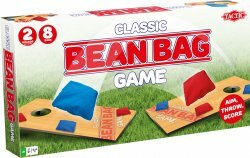 Toss the beanbags onto the boards and collect the most points! If you manage to throw the beanbags through the hole in the board, you get more points! Fun outdoor throwing game, in which you try to hit the skittles in correct order. The centre stake and measuring string provide a 360 degree playing field, so you can throw from any direction! Knock the right skittle outside the string’s reach, and you win it. Build a grand castle, place the King and his cronies in or on it and start your attack! You score points from good throws but only if you knock down the king himself. The player with the highest score wins! This wooden garden game makes for a good battle in skill and tactics! THE OUTDOOR DUEL OF THE VIKINGS! 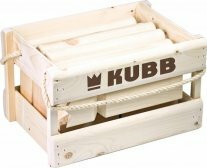 Kubb is a popular outdoor game in which the object is to knock over wooden skittles by throwing sticks at them. Knock over the skittles and the King, but be careful – if you knock over the King before all the other skittles are down, your opponent wins. Stil keglerne op og prøv at ramme dem med pindene. Pas dog på at du ikke rammer kongen først, for så taber du spillet. 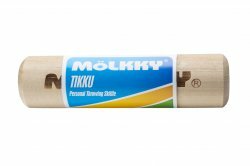 An easy way to mark the throwing line in a game of Mölkky. Made of durable wood. 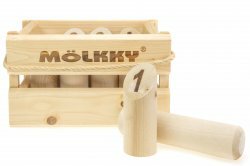 Never run out of Mölkky score sheets again. 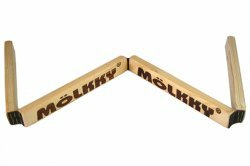 Get your very own Mölkky throwing skittle or replace an old one. Throw the Mölkky skittle at the Hattifattene pins and try to knock over as many as you can. The first player to reach 50 points exactly is the winner. Creating a treasure hunt has never been this easy! Draw, write or mark down clues on the clue boards, hide them for the pirates to find and send the merry band on its way towards the treasure. Whether you do this indoors or outside, it’s a great way to get kids out and about! 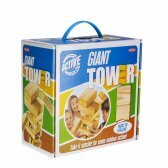 Build the Tower up by pulling out one brick at the time and placing it on the top. Just be careful, as the player who makes the Tower collapse, loses the game! A classic game for the whole family and everyone with steady hands. 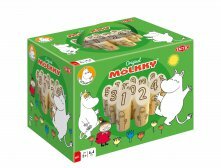 Roll the large wooden dice and try to get all the combinations shown on the score pad. The player with the highest total score at the end of the game wins!